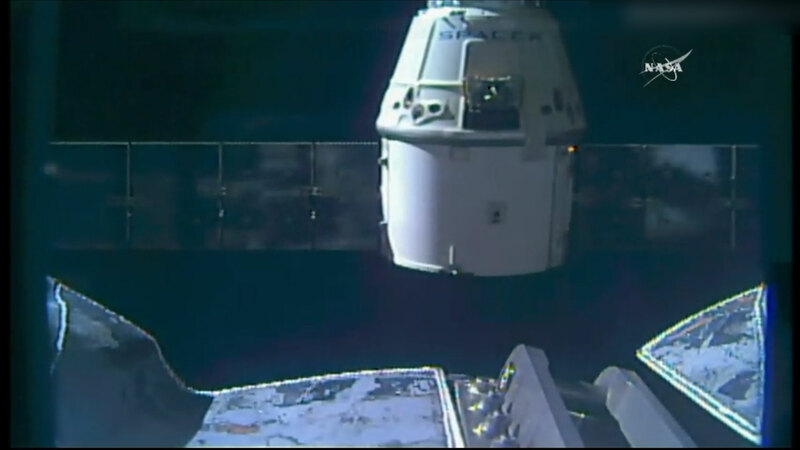 The SpaceX Dragon cargo spacecraft was released from the International Space Station’s robotic arm at 6:11 a.m. EDT. The capsule will begin a series of departure burns and maneuvers to move beyond the 656-foot (200-meter) “keep out sphere” around the station for its return trip to Earth. The capsule is currently scheduled to splashdown in the Pacific Ocean about 11:47 a.m. EDT, approximately 326 miles west of Baja California. Following splashdown, Dragon will be recovered from the ocean and put on a ship for transportation to a port near Los Angeles, where some cargo including research will be removed and returned to NASA within 48 hours.